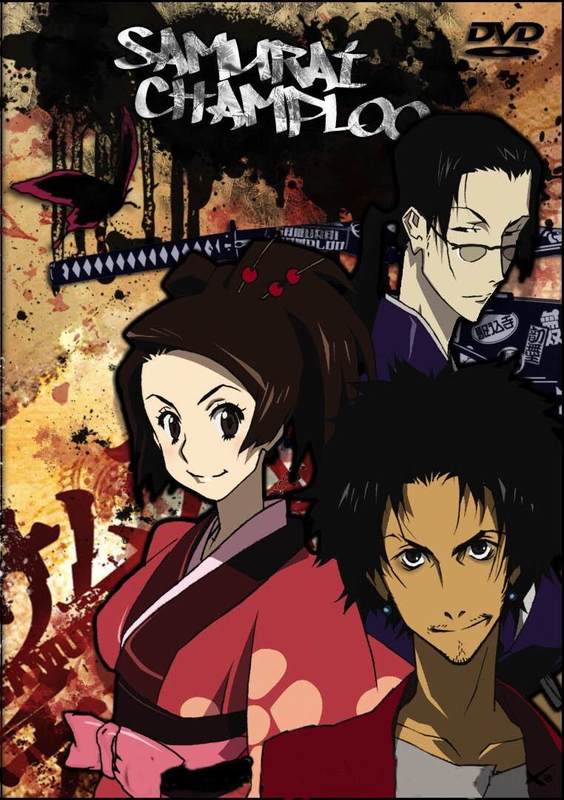 Samurai Champloo had its original run from May 2004 to March 2005. The story follows Fuu Kasumi, a young, clumsy waitress working in a tea shop. After accidentally spilling tea on a customer, he and his fellow samurai assault her. She calls upon a lone samurai called Mugen, who sitting in the back of the shop, he quickly dispatches of her assailants in a wild flurry of bizarre attacks. Not satisfied with his fight Mugen demands to fight someone stronger. Almost as if it were fate, Jin a ronin samurai enters the shop. Mugen challenges Jin in a fight to the death. The two end up getting imprisoned together and are set to be executed the next day. Fuu goes to save the two samurai’s but in exchange, they must promise to help her find a Samurai who smells of Sunflowers. My Review: I had originally watched Samurai Champloo a long time ago but I recently bought the DVD box set and upon re-watching it, I find that there is a lot more to it than I originally thought. The story has a really natural flow to it, no point in the writing ever felt forced it just all seemed to weave together into a nice circular story. All three of the main characters a really unique and enjoyable. Particularly in Mugen and Jin, this difference can even be seen in their fighting style. The animation is fairly decent, if not a bit on the drab side but it does suit the Hip-Hop theme the show is going for. Even though the theme is active and energetic, there is quite a sombre and mellow undertone that is present all the way through. I had a really good time watching Samurai Champloo and I would recommend this to anyone.